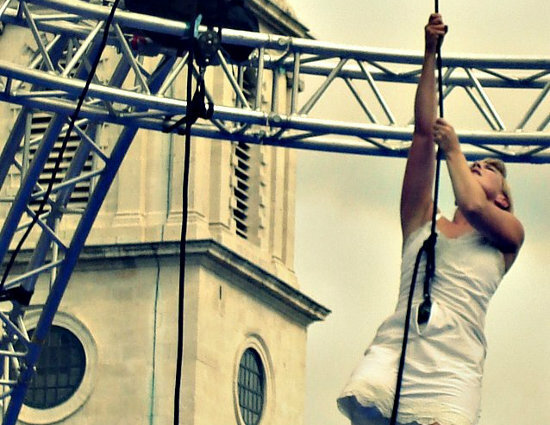 One of a super-small group of UK festivals fully dedicated to circus work, Zircus Plus is a three-day open air event that takes place in Barrow, a large, formerly industrial town on the North West coast of England. The festival, which is one semi-autonomous part in the giant Lakes Alive season, was inaugurated in 2009. In 2011 Zircus Plus' programme of local and international work includes Jeunes Talents Cirque laureates DeFracto with their technically clever juggling two-hander Circuits Fermés; Leo and Yam with a pulpy noirish thriller played out on corde lisse (with intertitles), Some Like it? ; aerial dance company Scarabeus' collaboration with Candoco Dance Company and writer Nicky Singer on the Without Walls commission Heartland; and NoFit State Circus with their new large-scale piece about borders, walls and transgression, Barricade. Pending funding, the festival will also host the 2011 x.trax, a showcase and networking event where delegates can attend discussions, pitch sessions and other professional happenings.